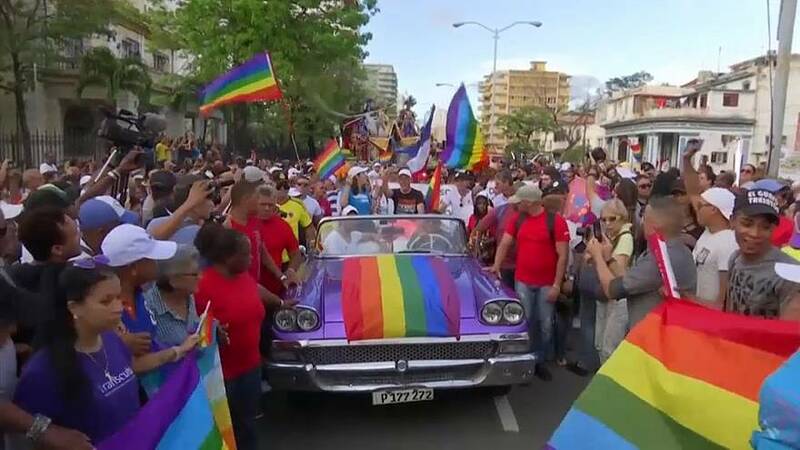 Thousands of members of Cuba's LGBT community staged a colourful parade through the streets of Havana on Saturday (May 12), marching against homophobia and calling for equal rights for the community. Mariela Castro, the daughter of former Cuban President Raul Castro and head of Cuba's National Sexual Education Centre (CENESEX), said at the parade she hoped to "change mindsets". Having pushed for gay marriage legislation as Cuba's most prominent LGBT activist, Castro said she hopes rights will be expanded in the wake of last month's Communist Party Congress.